Although Sydney is Australia’s largest and busiest city, it has a surprising diversity to show for itself. From dazzling skyscrapers to breathtaking hikes, Sydney is full of instagrammable places that will make your account the center of attention. We tried to capture the full range of what Sydney has to offer, so you will see hip coffee shops, urban architecture and natural beauty. So, what are you waiting for? Put on a pair of comfortable shoes and start snapping! No visit to Sydney is complete without a day trip to Bondi Beach! Head to the iconic Bondi Icebergs and Icebergs Pool at the southern tip for some amazing snaps, especially during the sunset. There is no wrong angle to snap a perfect shot of the Sydney Harbour Bridge since this is one of the city’s most photogenic spots. For the ideal sunrise photos, head out to the Luna Park, while if you want to picture the sun setting behind this bridge, try ‘gramming from Kirribilli. Not only is the Taronga Zoo home to some of the earth’s rarest animal species, but it is also full of events and Instagram opportunities. Try the seal and free-flight bird show for some memorable Instagram stories or visit the lemur cage to take some fun photos of these weird creatures. Sydney’s Royal National Park is a true nature lover’s paradise, as it offers everything from scenic footpaths, to idyllic waterholes and family-friendly opportunities for excursions. If you’re lucky, you might even see whales on the horizon. Carriageworks is at the heart of the city’s urban part, and it’s one of Sydney’s primary artistic venues. Originally an old blacksmith workshop, it is now a modern cultural hub with many of its original features left untouched. Located right in the middle of Sydney CBD, this quiet laneway that connects Pitt Street with George Street holds a haunting secret. Passing through it, you will hear it is abuzz with birdsongs. The canopy dunes with 50 birdcages that symbolise the birds who once lived in the area and were forced out by the radical urbanisation. It is one of Sydney’s most photographed artwork and a testimony to our impact on nature. While it is technically not an island but an islet, Bare Island is the perfect place for some moments of quiet relaxation and romantic Instagram poses. If you are keen, you can also take scuba diving lessons, as the location is home to a diverse underwater life. The Wedding Cake Rock not only looks like a wedding cake, but it is also as fragile as one. If you must take some photos on it, be mindful of your surroundings. Also, be prepared for a rough climb up top! Dress appropriately and get your camera ready!Always wanted to visit the desert but you can’t stand the heat or the danger? The Worimi Conservation Lands (or Stockton Sand Dunes) are the longest moving dunes in the southern hemisphere, covering a total area of 42sq.km. Getting there is a short drive from the Sydney CBD. Always wanted to visit the desert but you can’t stand the heat or the danger? The Worimi Conservation Lands (or Stockton Sand Dunes) are the longest moving dunes in the southern hemisphere, covering a total area of 42sq.km. Getting there is a short drive from the Sydney CBD. You can easily reach this beautiful suburb with a ferry from Circular Quay. A great picnic and Instagram spot and an ideal place to snap some of your cosiest moments there! Manly is a bit farther than Cremorne Point, but the sunset views you’ll get from the North Head spot are well worth the trip. The place is easily accessible via a short bus ride from the Manly port. One of the coolest neighbourhoods in Sydney, Surry Hills is a prime spot for local and visiting Instagrammers. Come for the great bars and dining options, stay for the awesome street art! If you love coffee and Instagram you’ve just hit the jackpot! The Grounds of Alexandria is Sydney’s prettiest cafe, with a very distinct taste in decoration. Bring your best appetite and dress nicely — you’ll want to take a few snaps along the brick walls and flowers surrounding the cafe! This elegant Victorian-style shopping arcade is located in Sydney CBD and will captivate your Instagram audience with its stylish floors and wooden-framed shops. Spanning an entire block along one of Sydney’s main streets, the Queen Victoria Building is very hard to miss. Home to over 150 shops and restaurants, this landmark was built during the late 1800s and has been operating ever since. The MCA Sydney is a perfect opportunity for the artistically-inclined Instagrammer. If you are in town, don’t forget to check what exhibitions are running for some unique photo opportunities. Although it is much smaller than its New York counterpart, the Sydney Central Park offers a great opportunity to relax and take some great photos in the center of the city! Reef Beach is located at Dobroyd Head, just a short drive from Manly. The reef is a excellent Instagram spot but also carries huge historical significance for local indigenous people. With its distinctive red and white stripes, the Hornby Lighthouse looks like it was meant to be a popular Instagram spot since it was built! This iconic building marks the southern entrance to Sydney Harbour and is a great spot for whale watching! 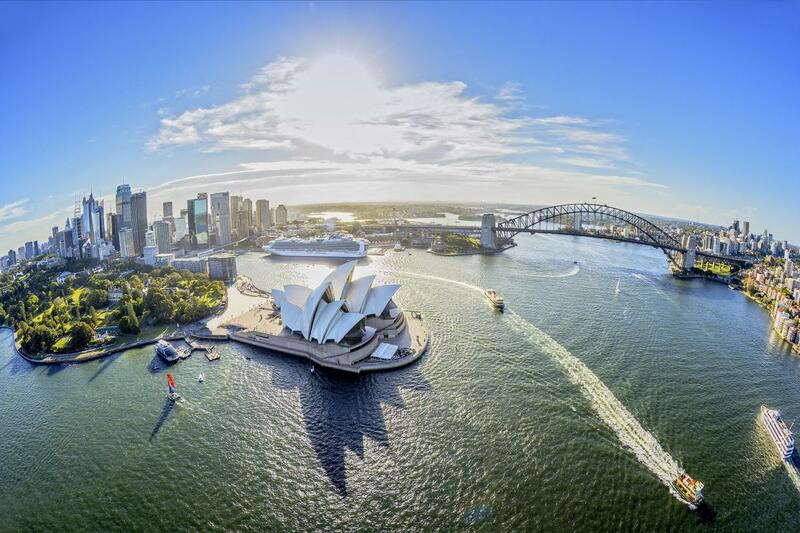 Thought we’d leave the Sydney Opera House out of this list? With over half a million posts tagged in the area, this is the chief landmark of Sydney, and possibly the whole of Australia. The Sydney Opera House is a marvel of modern architecture and one of the most recognisable buildings in the world. Whether you just arrived in Sydney and waiting for your check-in time or you are out for a last walk around the city, there is always time for some more Instagram snaps! 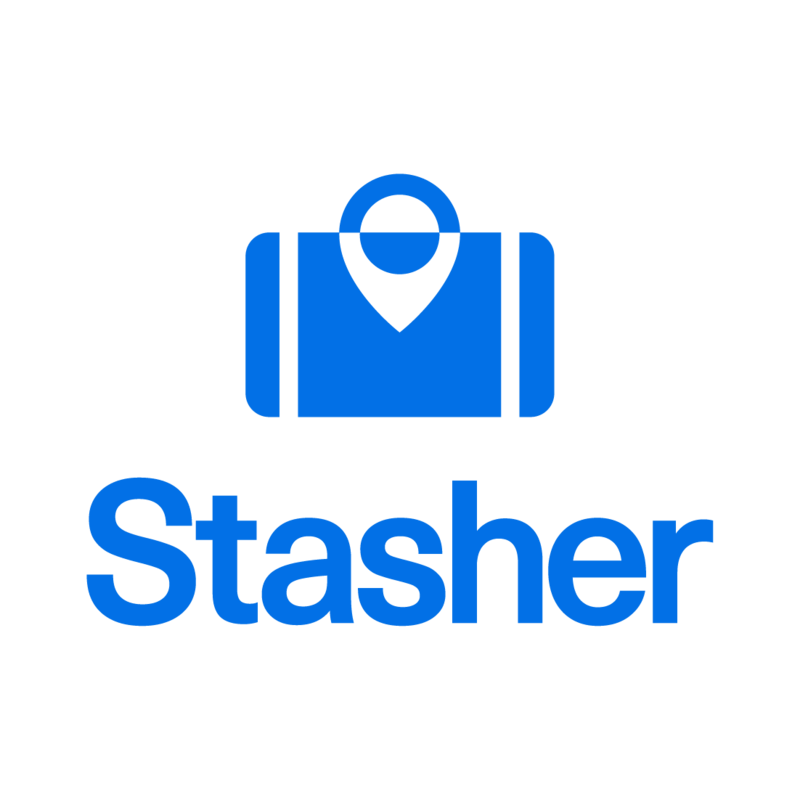 Simply find a luggage storage location near you, and leave your bags with us. See how many of Sydney’s best Instagram spots can you discover!